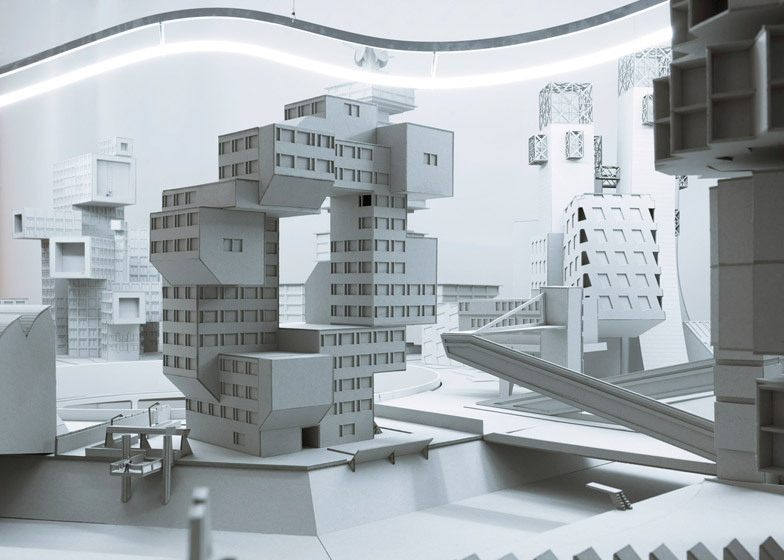 Swiss childrenswear brand L'asticot has collaborated with architecture firm Bureau A to install a miniature cardboard city at its Geneva store (+ slideshow). 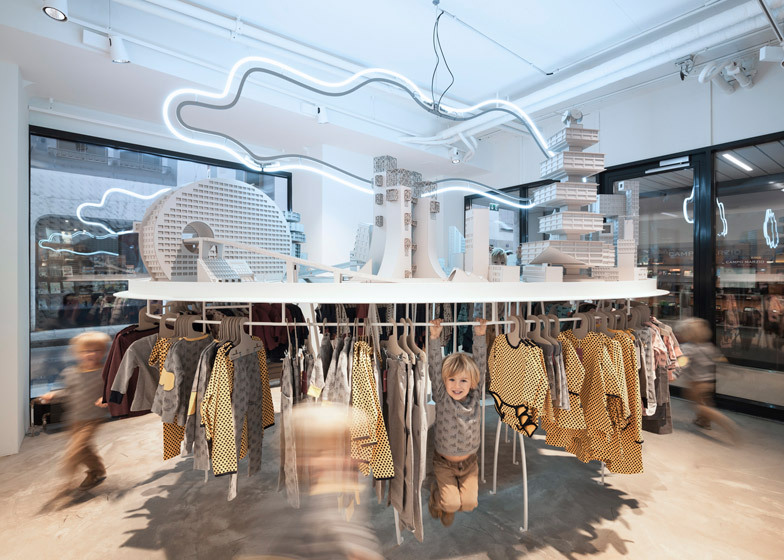 Bureau A was asked by child and baby clothes store L'asticot to create an environment that would reflect the creativity and playfulness of the brand. The studio responded by crafting an imaginary urban environment that takes cues from the architecture of the Soviet Union – examples of which were documented by photographer Rebecca Litchfield in her Soviet Ghosts series. 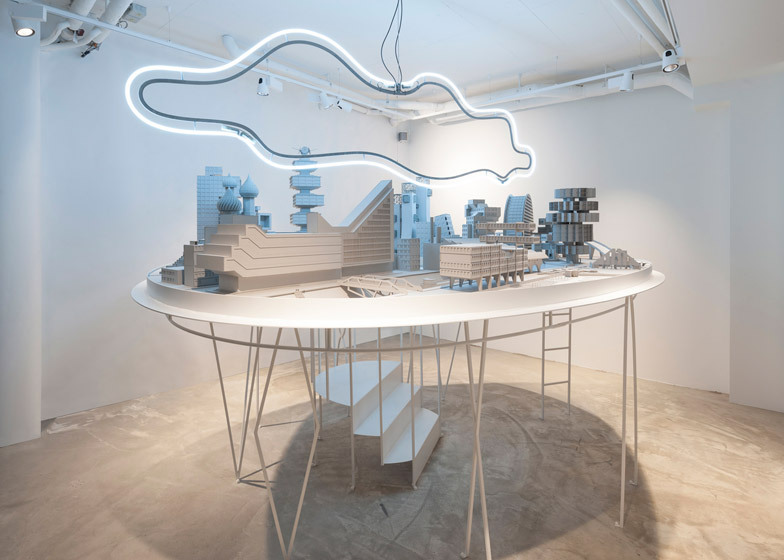 Bureau A specifically mentioned the work of architectural organisation the OSA Group, which built Constructivist-style buildings across the region from 1925 to 1930, as a point of reference. 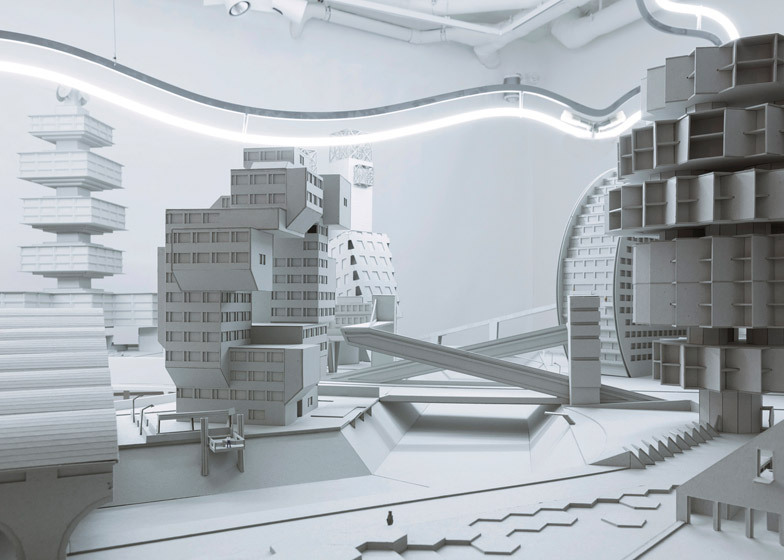 Created to scale, cardboard buildings of Bureau A's city are housed on a circular structure made of welded steel, which has a clothes rail underneath. 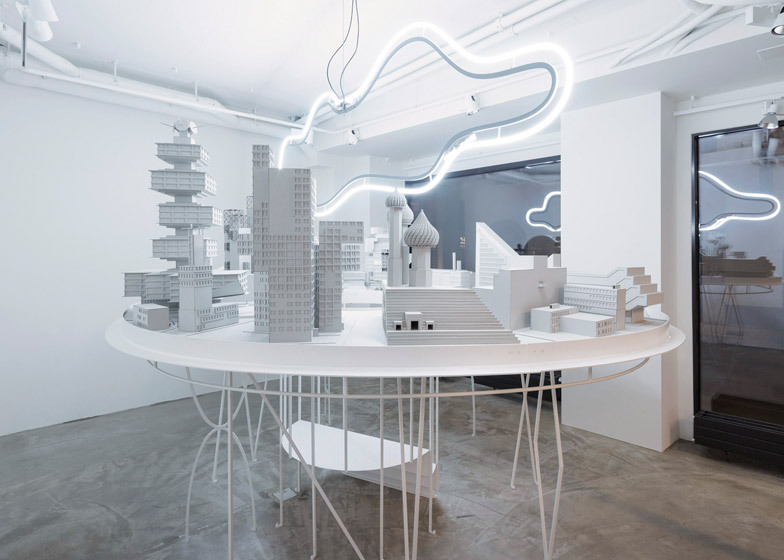 The entire installation is lit by a cloud-shape neon light hanging above and is visible from the shopfront. A set of steps in the centre of the structure leads small visitors up into the middle of the city. On closer inspection, miniature forms of people and animals can be seen placed between buildings. Over time the steel base will become a home to different imaginary worlds, intended to align with the various themes of new collections from L'asticot. 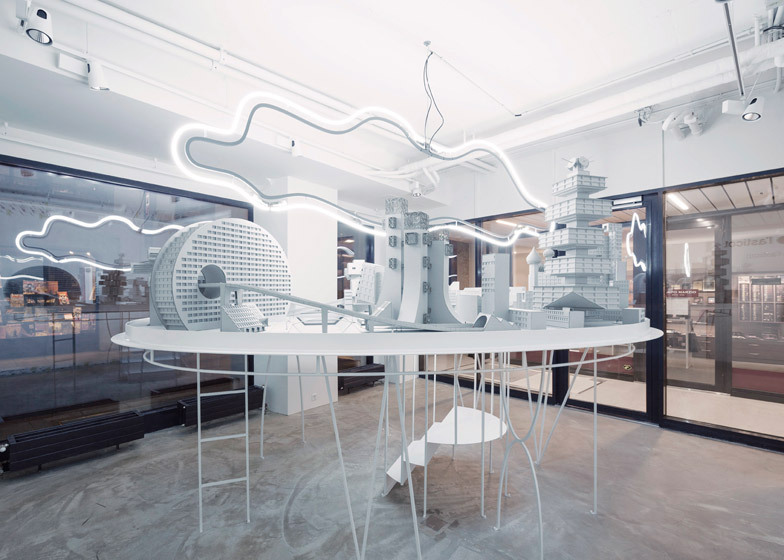 Although the architectural reference might not be obvious to the store's younger visitors, the firm believes that the buildings speak for themselves. "Kids always like to create worlds of their own – they like to draw them or even to build them. In this sense they are close to architects, maybe with a bit more imagination," she added. Bureau A is also based in Geneva. Recent projects by the studio include a wooden cabin concealed inside an artificial rock, a seven-storey mobile performance space and street kitchen on a tricycle, and a pavilion built out of recycled windows.